We truly believe that the quality of product is the reflection of the process; to that extent we follow the best practices in the industry for all our manufacturing process. We also allow our customers to fine-tune the process to meet their needs. Our main goal is to supply the best quality parts at a very competitive price and our strategy revolves around that. Our engineers continuously look improve the product quality by in-house R&D activities and tweaking our manufacturing processes from casting until packing to remain best in the industry in terms of cost and quality. 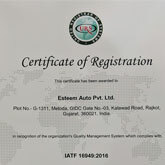 We at Esteem Auto Pvt. Ltd. are committed to by providing quality products, attractive price timely delivery. 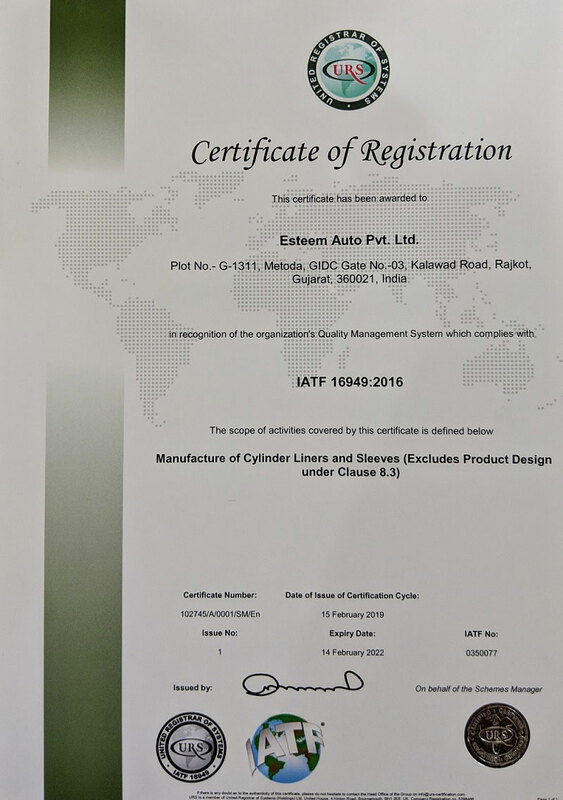 Continual improvement in product quality & customer satisfaction. Process refinement and automation to improve efficiency. Continuously reducing Non-value added activities.